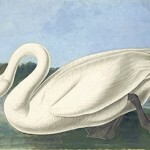 As in Audubon’s two watercolors of the Trumpeter Swan (1863.17.376; 1863.17.406), the artist’s powerful, robust adult male Tundra Swan―with its stalking pose and open bill―contrasts with the more conventionally graceful images of the ornithological tradition. 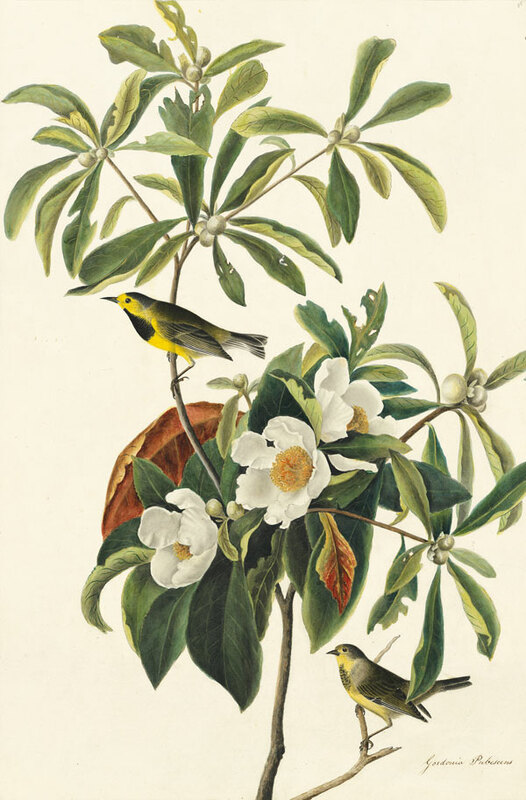 During the final two years of production of The Birds of America, Audubon accelerated his schedule by combining species in certain plates. 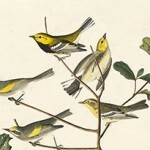 A case in point is this watercolor model with five warblers—one named after William MacGillivray, editor of Audubon’s Ornithological Biography and his good friend. 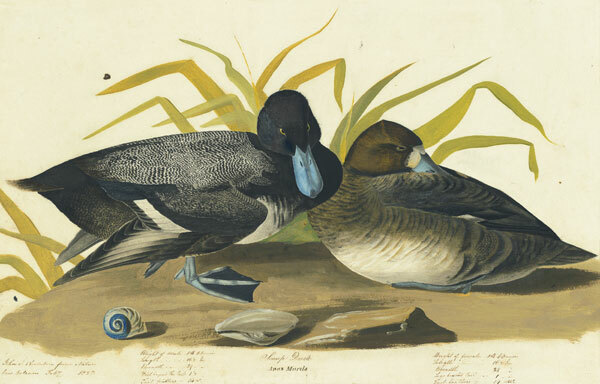 For his portrayal of these members of the crow family, which he executed in Charleston, Audubon used models taken from Townsend and Nuttall’s collection of western species. 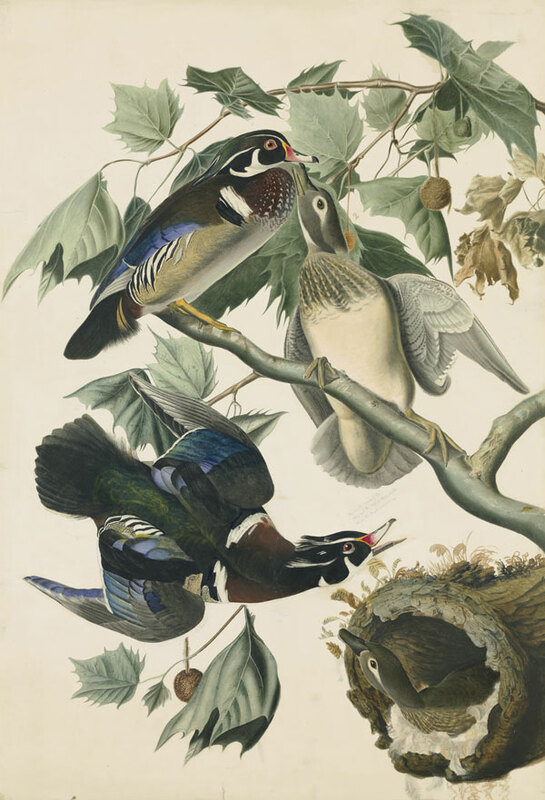 As he rushed to complete his “great work,” The Birds of America, Audubon purchased many skins and, in order to meet his deadline, illustrated more than one species on a single sheet. 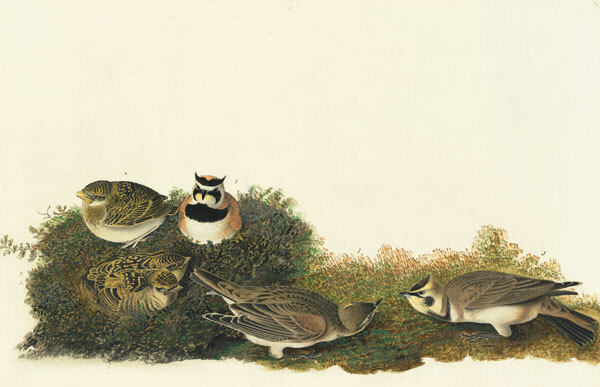 During the winter of 1836 in Charleston, he painted these related members of the titmouse family, a male and female of each species, in a charming scene. 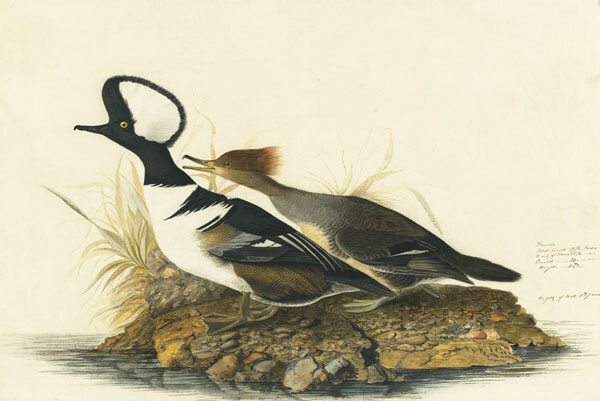 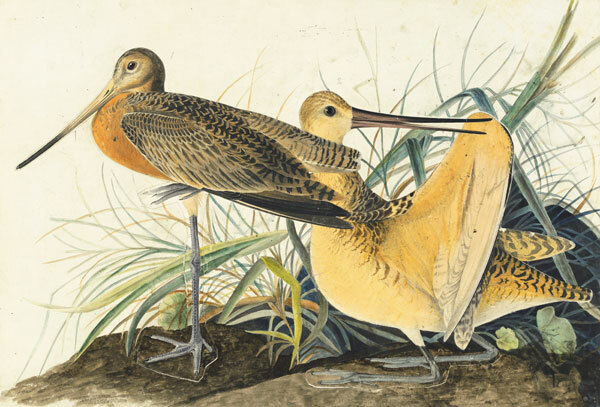 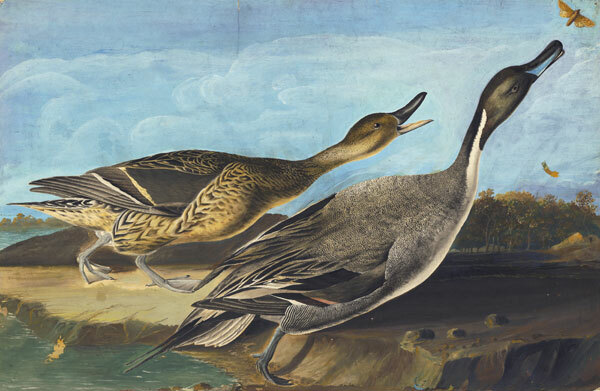 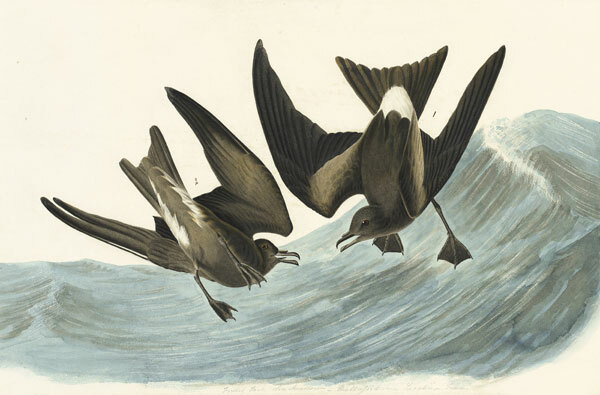 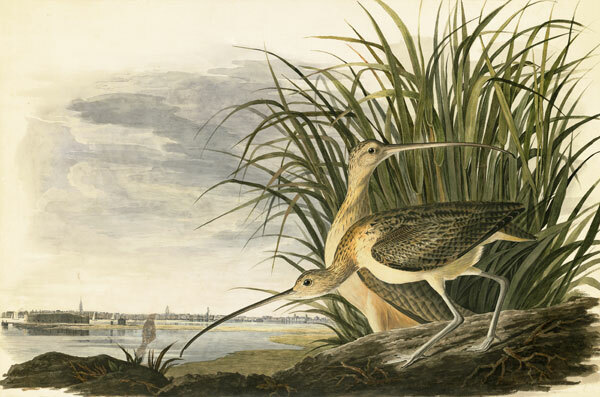 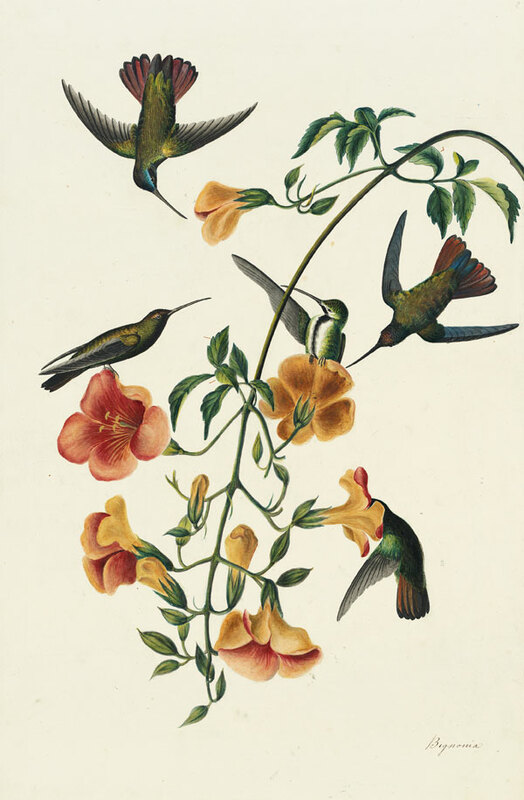 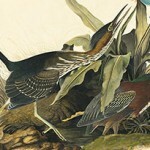 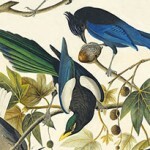 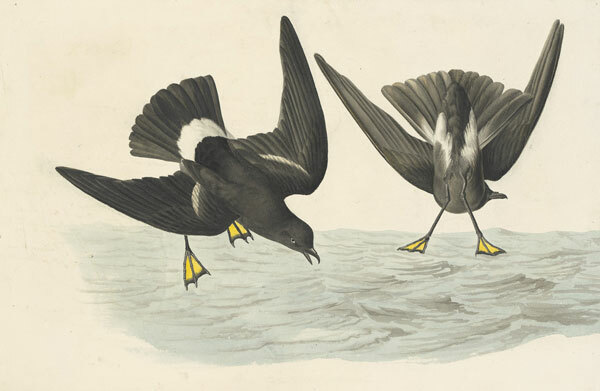 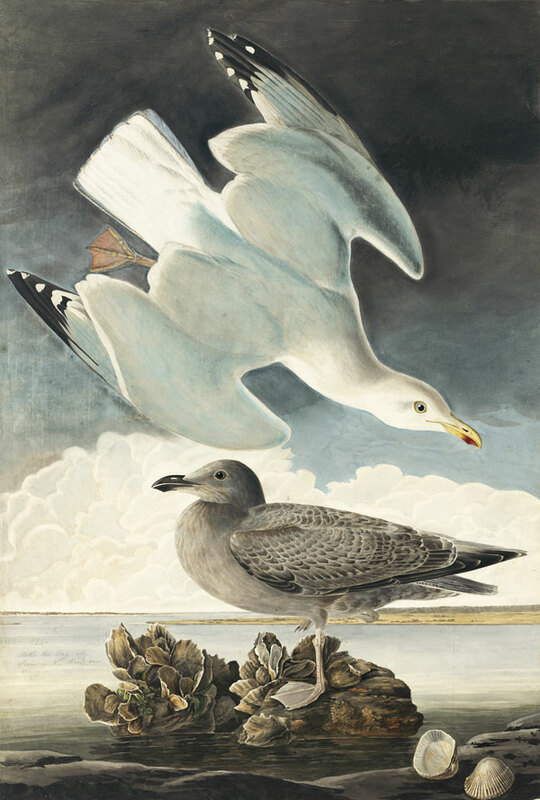 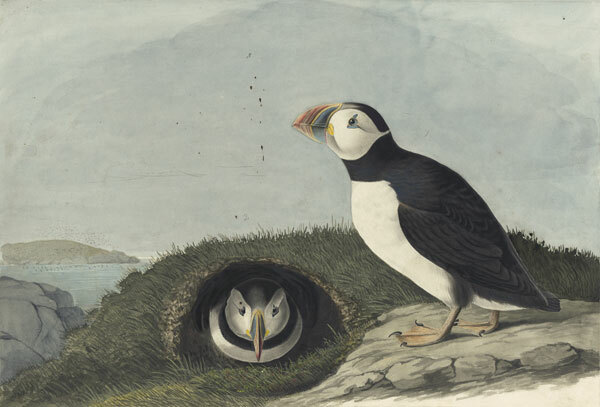 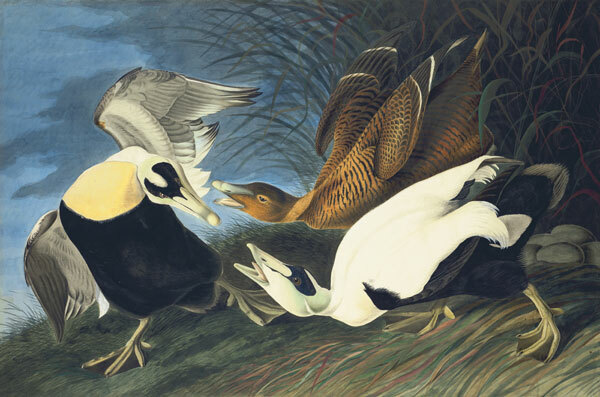 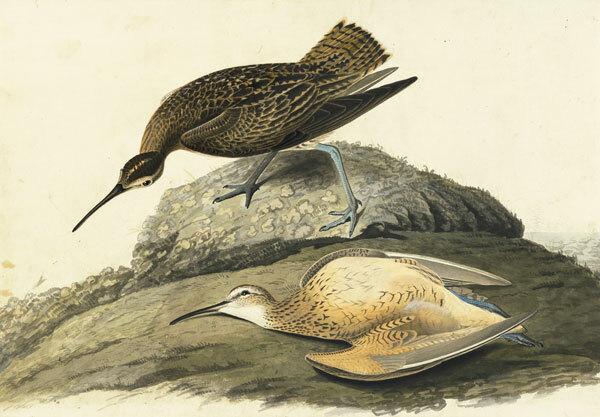 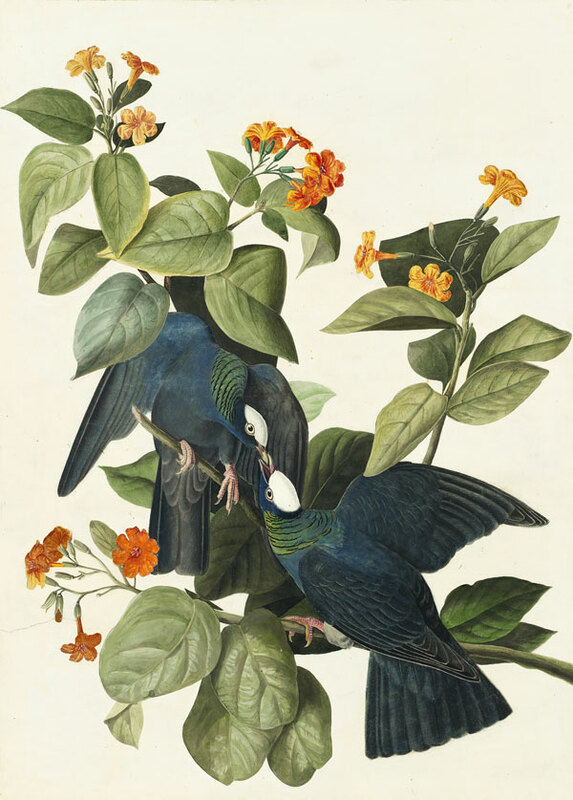 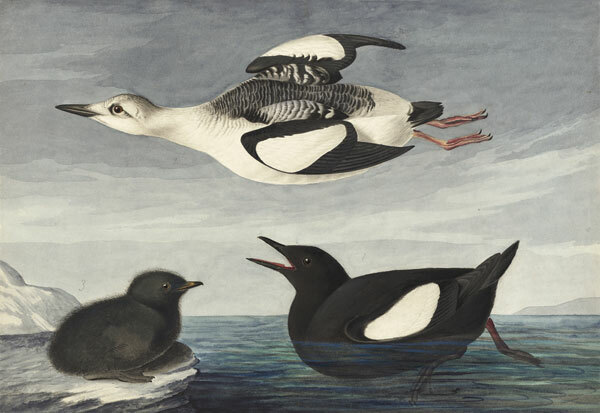 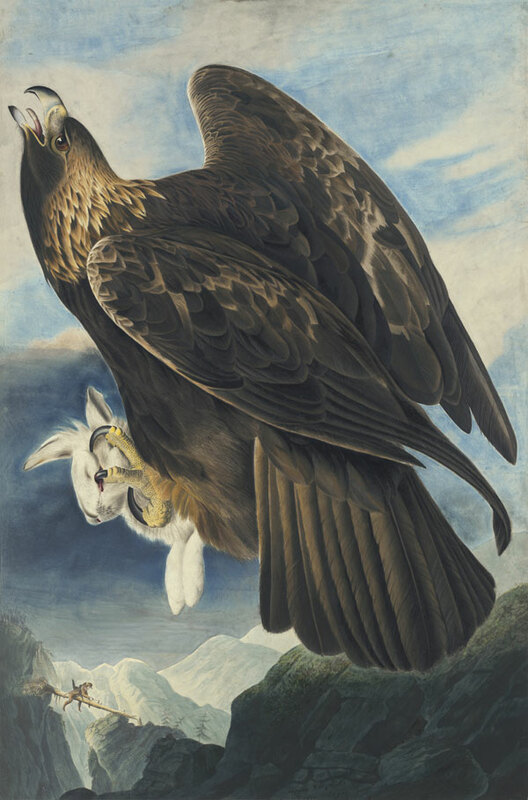 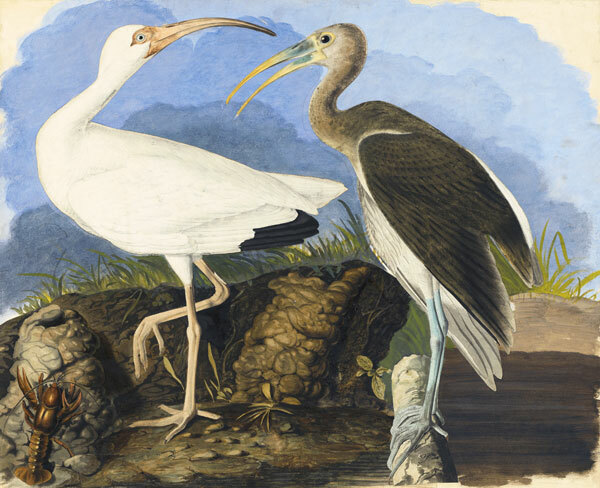 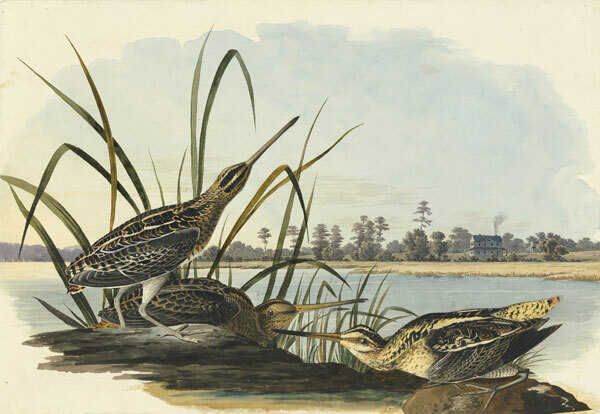 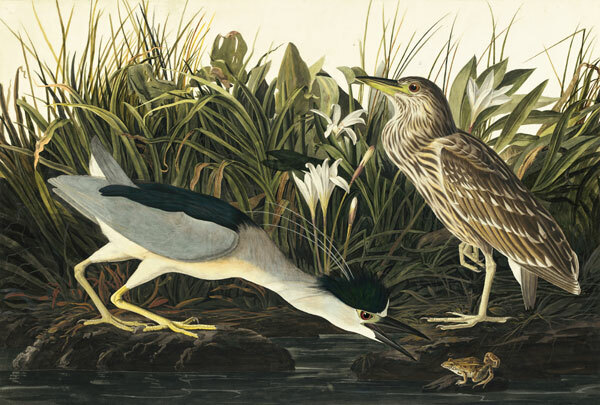 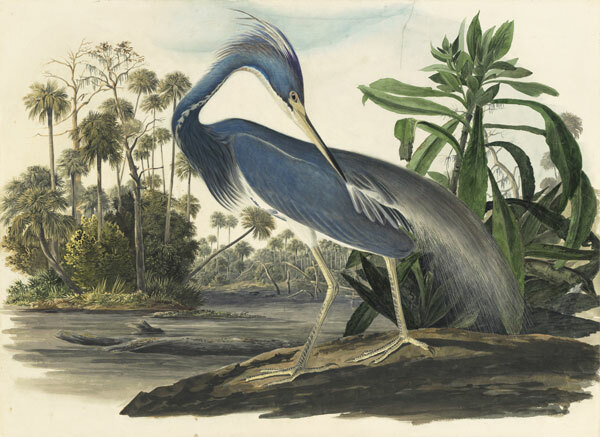 In 1826, when Audubon first began raising funds to underwrite The Birds of America, he exhibited this watercolor in Edinburgh. 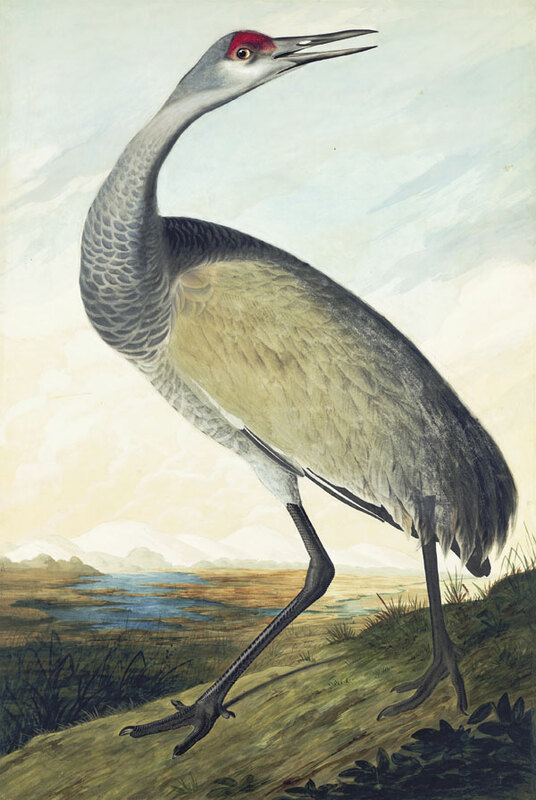 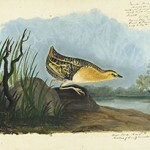 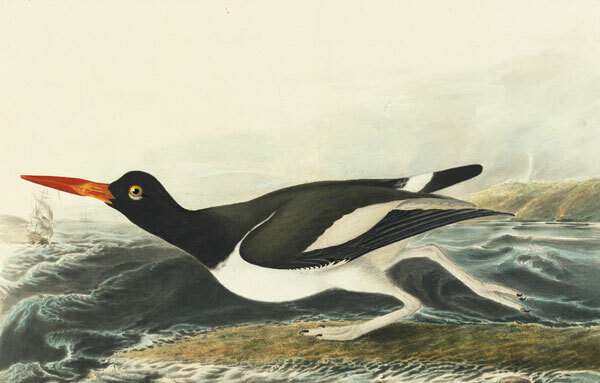 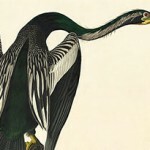 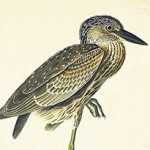 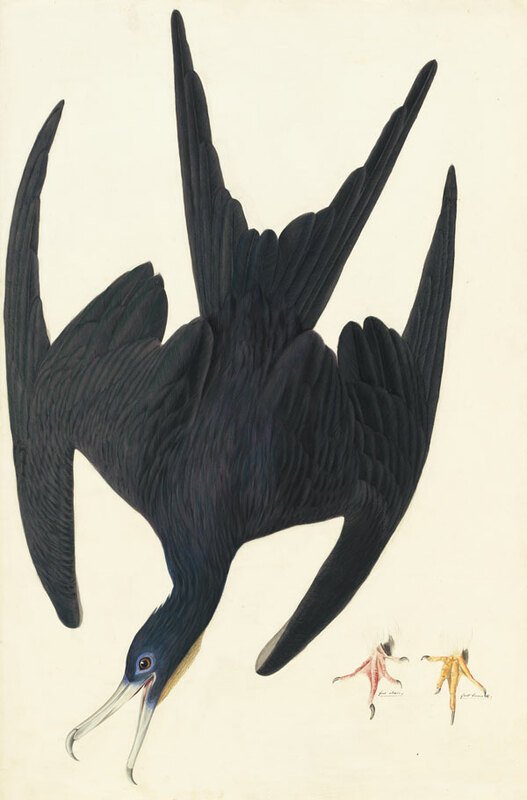 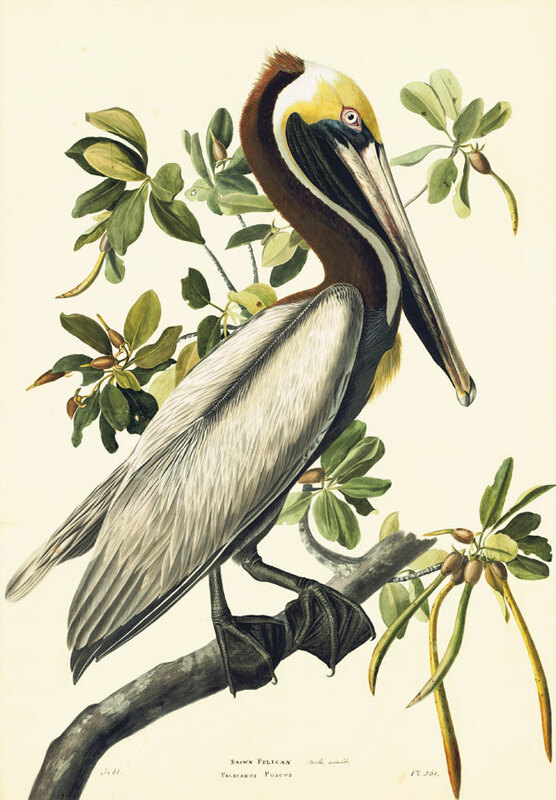 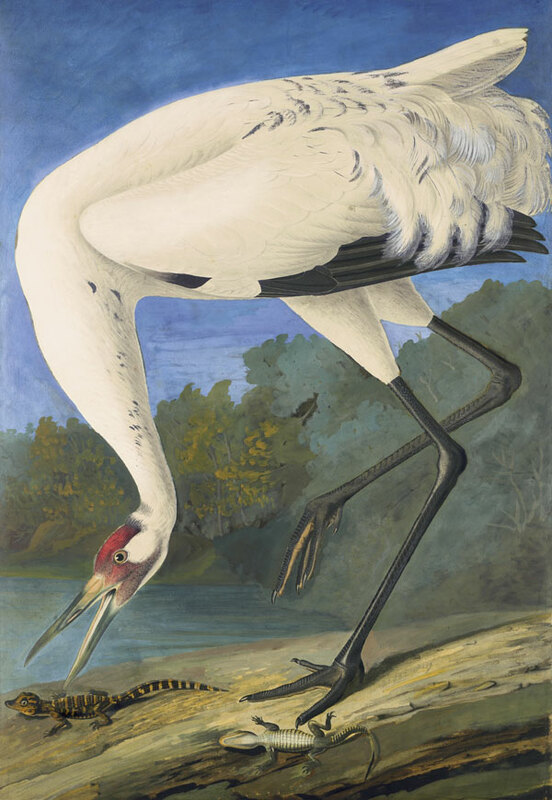 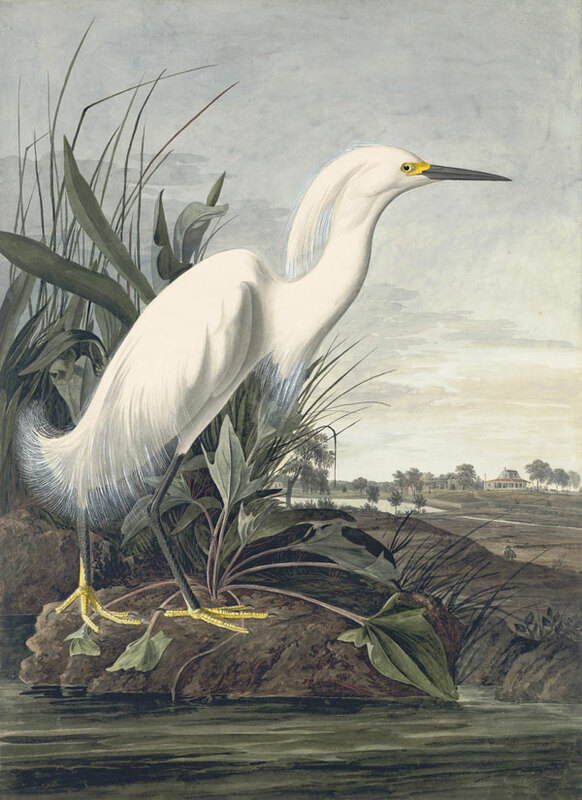 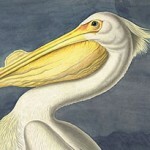 Although he had probably executed it earlier in Louisiana in 1821–22, he was still proud of his unique, highly experimental representation of this species and also used it as the watercolor model for The Birds of American when he was completing his magnum opus. 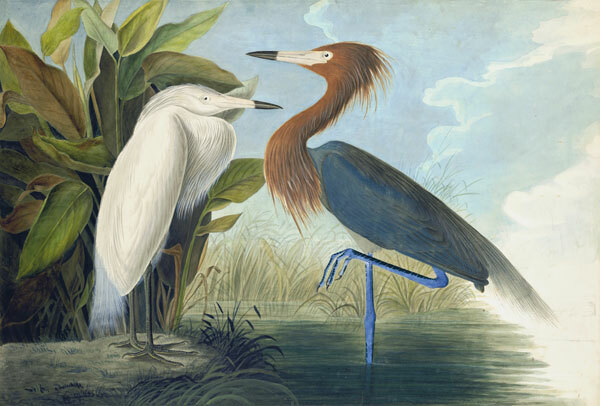 “The Yellow-crowned Heron, which is one of the handsomest species of its tribe, is called ‘Cap-cap’ by the Creoles of Lower Louisiana. . . . 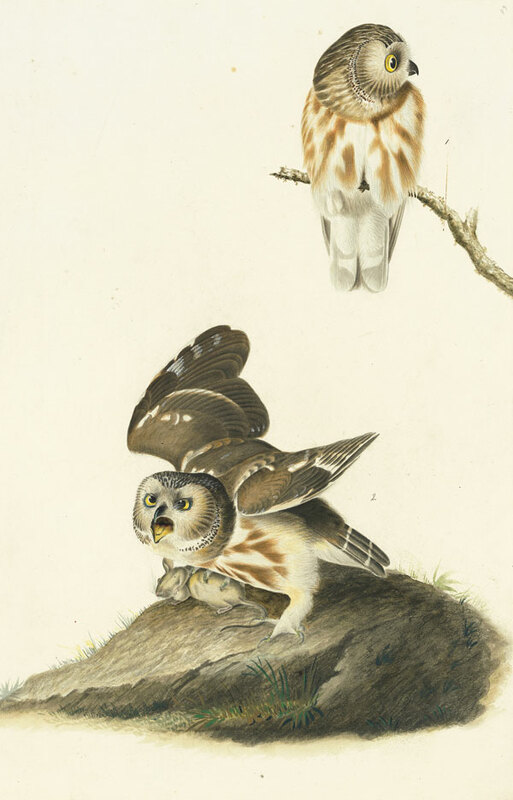 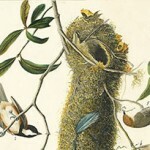 This species is by no means entirely nocturnal,” reported Audubon. 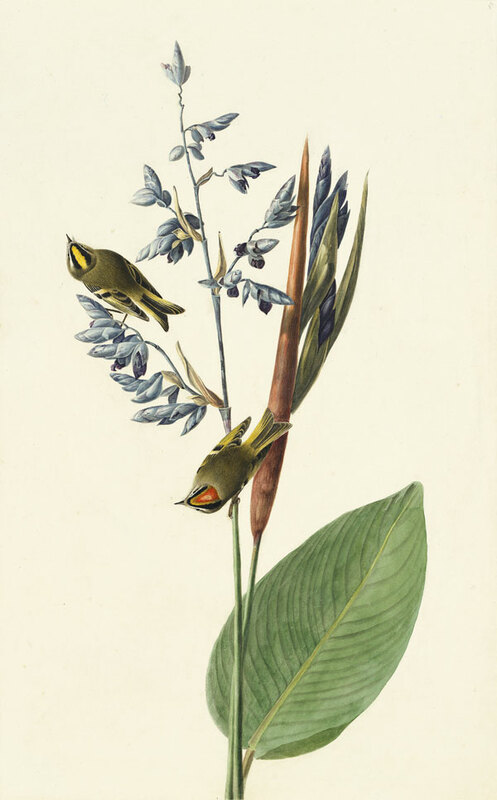 In his watercolor, JJA depicted an adult male in “spring plumage” above an immature bird, perched in a dead tree entwined with smilax. 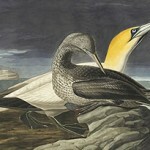 On his Labrador Expedition in 1833 Audubon was eager to visit “Great Gannet Rock,” near the Magdalen Islands north of Nova Scotia in the Gulf of St. Lawrence. 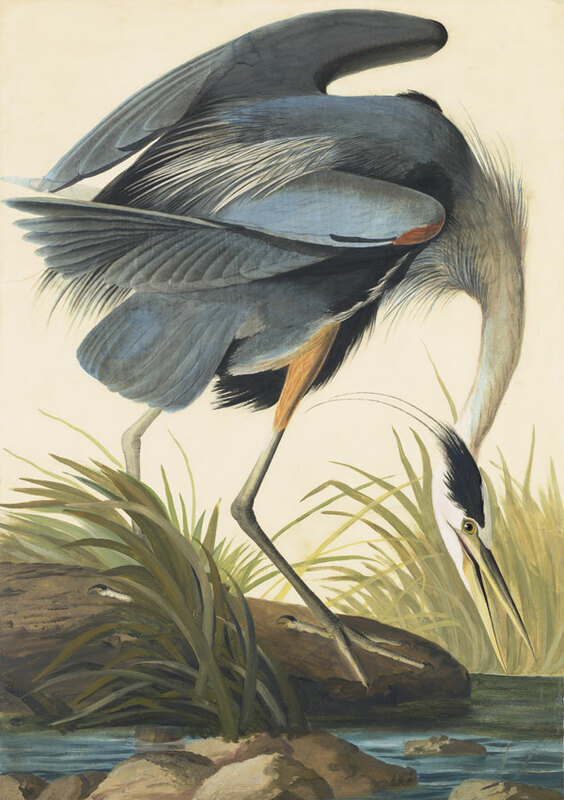 In this watercolor, JJA focused on the vulnerable but fully fledged juvenile, preening its molting feathers while eyeing the viewer. 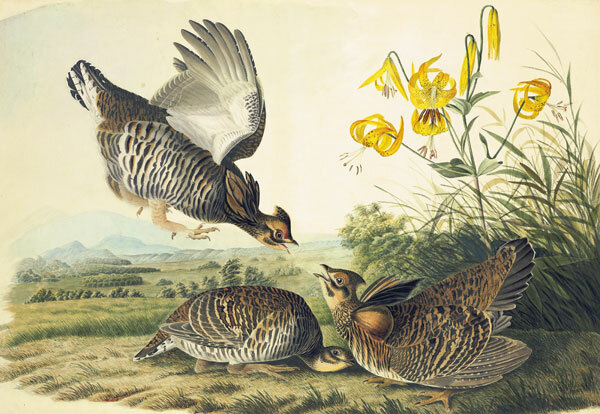 Best known by the nocturnal insect-like cadence of the males (tic-tic, tic-tic-tic), the Yellow Rail ranks as one of North America’s most elusive and mysterious birds. 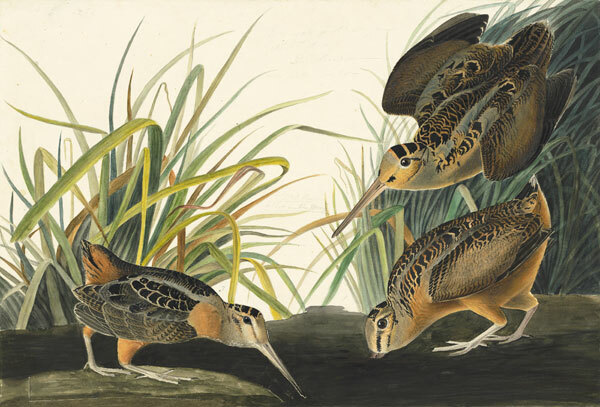 Although some people believe that it is more abundant than encounters would indicate, no data exist about its current population size, estimated by the Audubon Society at 17,500. 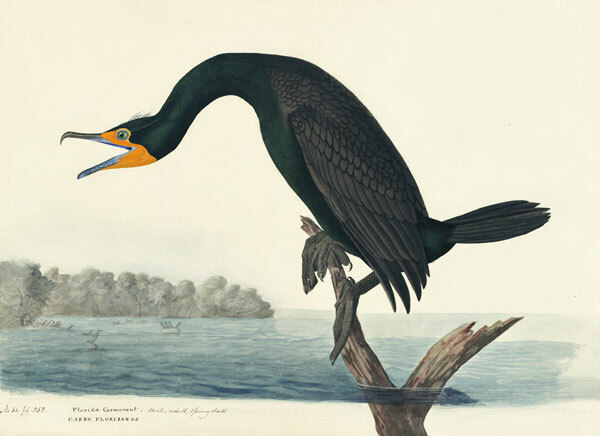 Audubon reported that the diurnal Anhinga was called, among other names, “Bec à Lancette,” “Snake-Bird,” or “Black-bellied Darter.” Taking full advantage of the Anhinga’s gangly neck and elongated body, he created this graceful image of the pair’s prenuptial behavior.